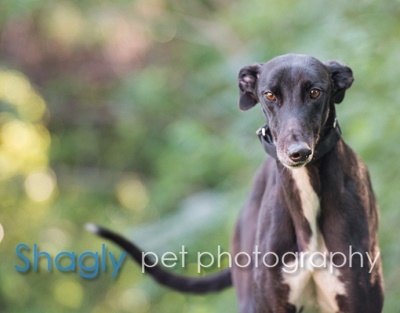 Opal, aka Hiway Diamond, is a 2-year-old black female born June 16, 2014. Her sire is Wigwam Wag and her dam is Kafi's Assassin. Diamond is her littermate. 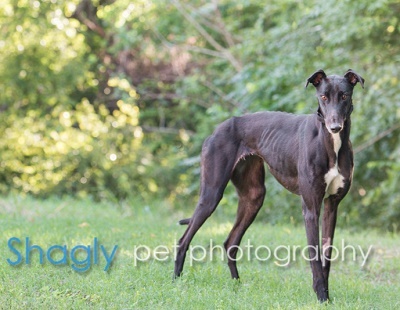 Opal has no races on record, and was surrendered to GALT. 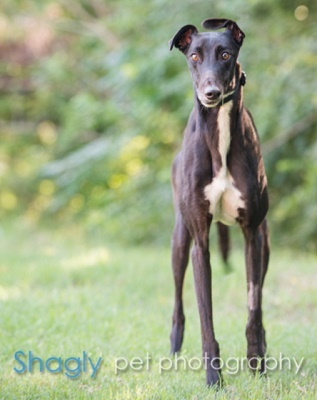 Will Opal shine in your home? Opal has not yet been tested with cats or other small animals.